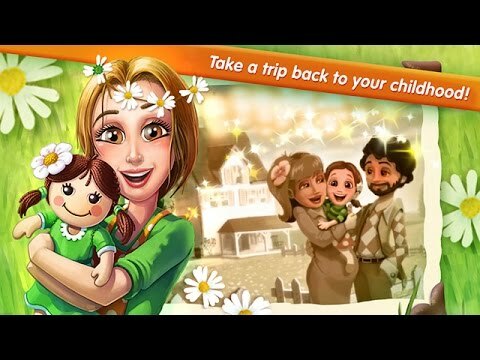 Follow Emily on this touching journey during her younger days on the farm. "Delicious: Emily's Childhood Memories is fast-paced and very fun. It keeps you thinking and your eyes focused. It gets faster as you progress and keeps your reflexes sharp. I would recommend this game to anyone who likes Time Management games. This game is for adults as well as children." Emily is headed home. Home to where she grew up. Home to where many of her most treasured childhood recollections were born. Her parents are close to selling the farm and about to move out, allowing her one final glimpse of how things used to be. Follow Emily on this touching journey through the 1970's and onward, and reminisce heartwarming episodes of her life as she grew up. Another great Emily game. I loved seeing the backstory to Emily and all the other characters. The levels weren't impossible to achieve Expert scores like some other games in this genre. I love this game! It is one of my all-time favorite games and I can play for hours without stopping. Wonderful game. Totally in line with the other Delicious games. I would buy again and recommend to all.